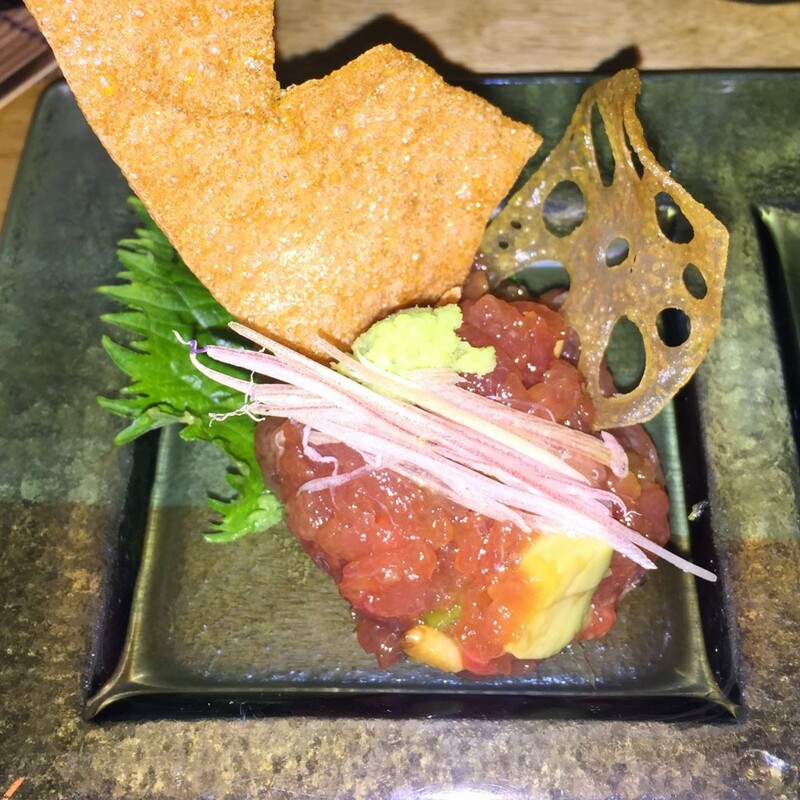 It was with this thought in mind that, over the holidays, Hubby and I treated ourselves to a evening in Japan, if you will, at Scottsdale’s own ShinBay restaurant. Open a little over 3 years, ShinBay is a small, exquisite, jewel box of a Japanese restaurant located in the Scottsdale Seville that is the closest experience to eating in Japan you will find in Arizona, and certainly is on par with similar concepts in the large West Coast cities such as LA and San Francisco. Upon arrival, the tranquil nature of the dining room sets the mood with design elements such as polished wood and stone, dimmed lights, and soft, acoustic music playing in the background. You will feel as though you have stepped out of the arid desert and into a Japanese ryokan. 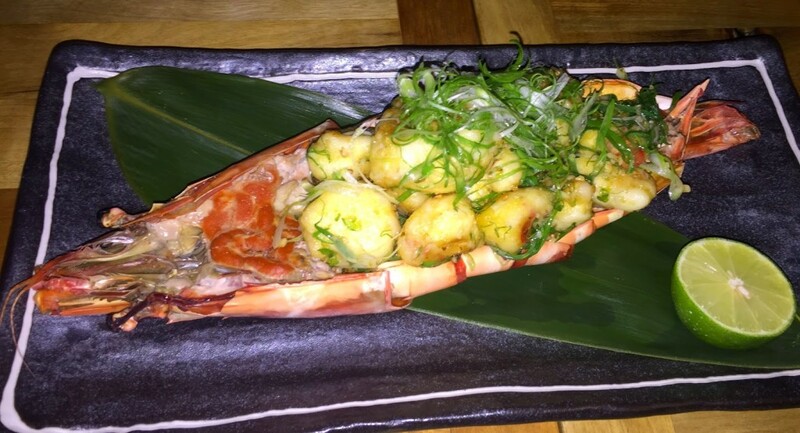 Executive chef Shinji Kurita’s beautifully crafted dishes place an emphasis on the freshest ingredients. But it is also about the understated elegance, the meticulous attention paid to every detail. Reservations are required, I believe for the explicit purpose that they only order as much as they need for any given night. 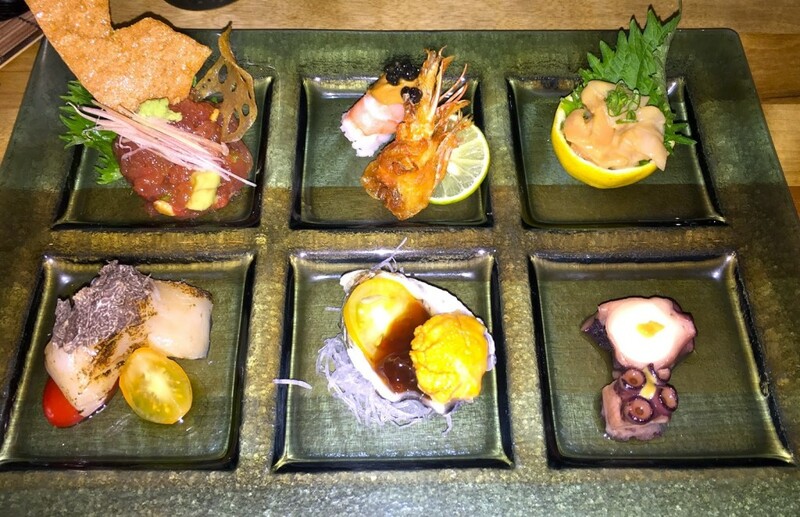 Feeling hungry and in the mood to celebrate the holidays, we opted for the six-course omakase chef’s tasting menu. 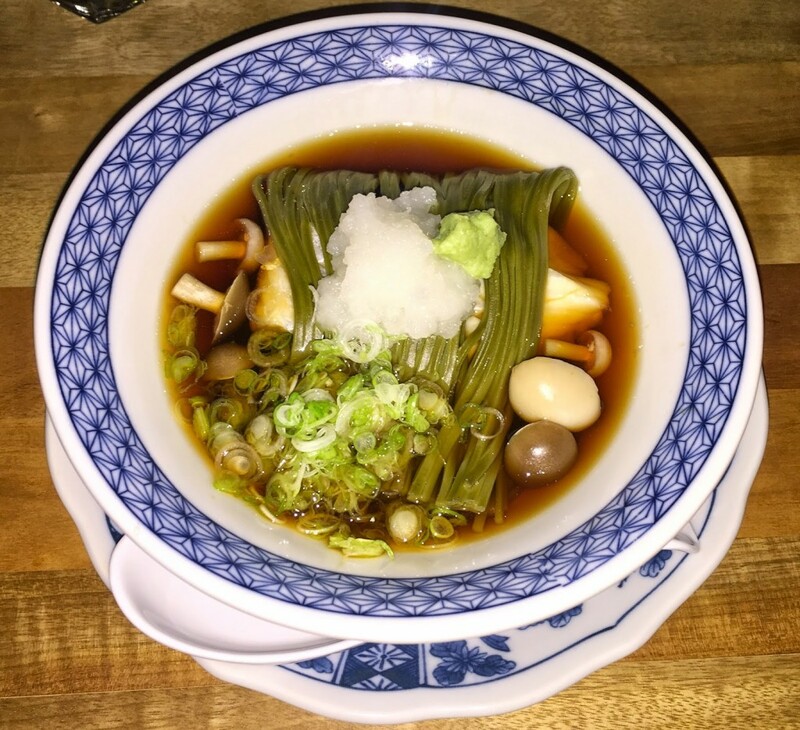 Each flawlessly crafted course is served in equally elegant and sleek Japanese china. 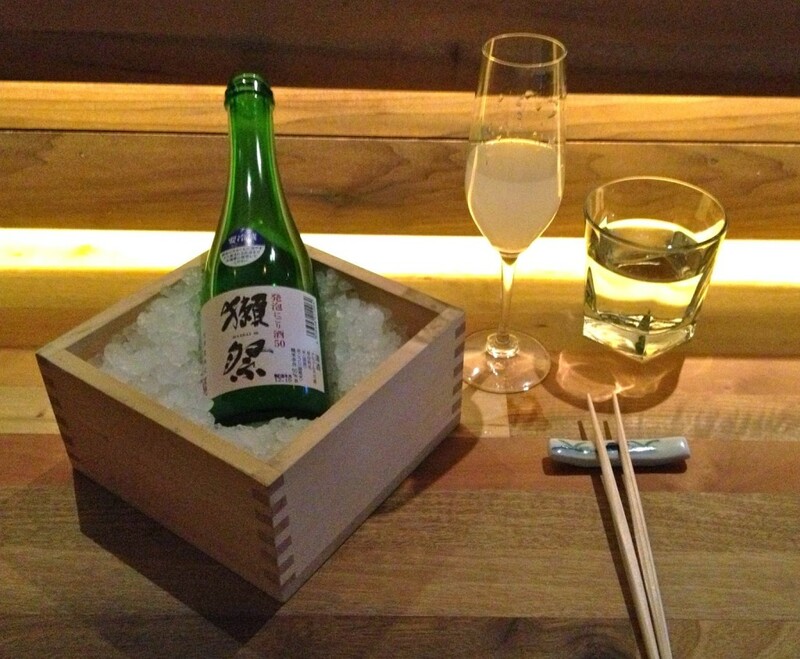 We enjoyed each course while sampling the various sparkling sakes, like Poochi Poochi, and Mio, the latter is served with lime wedges and a chiffonade of shiso. Enjoy the parade of courses I have downloaded for you, and I encourage you to make a reservation for a truly unique dining experience. 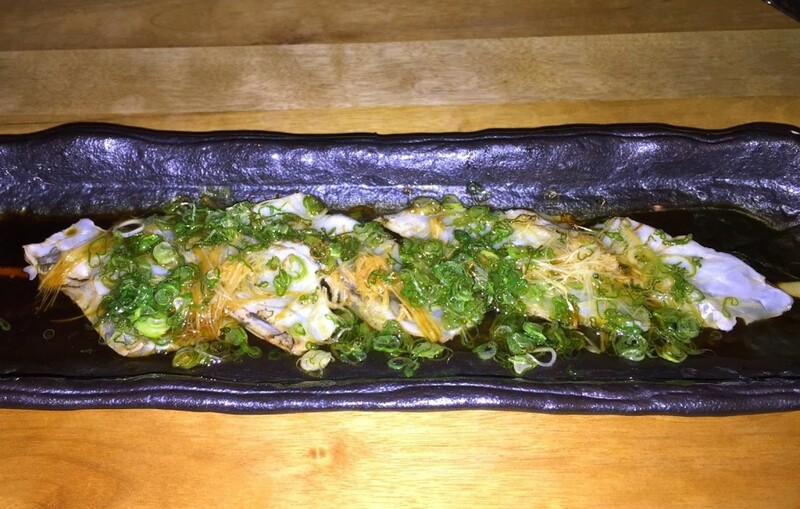 First course included a light and melt-in-your-mouth Fluke Carpaccio, served with garlic, ginger, and scallions in a ponzu sauce, and seared in a hot grape seed oil. 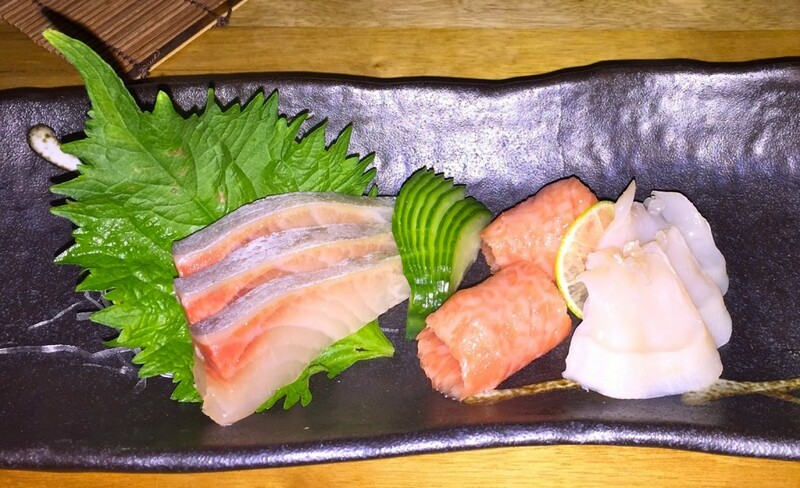 Second course was a selection of sashimi, including kampachi (Hawaiian yellowtail), amberjack, o toro (tuna belly), and Mirugai clam with fresh wasabi and shiso. Next came the Tsukuri Six, otherwise known as Seafood Bites: Ahi tuna tartare blended with avocado and pine nuts, and served with a wonton chip and a “wafer-thin” fried lotus slice; blue shrimp topped with shrimp paste and sturgeon caviar; Orange clam with Japanese mustard, Japanese sea scallop (Hotate) with shaved truffle, Kumamoto oyster with ponzu jelly and uni (sea urchin), and octopus with Japanese mustard sauce. I hope you are lucky enough to find yourselves in ShinBay when the Madagascar tiger prawn is in season. The meat is removed and sautéed with with garlic, ginger, scallions, in black bean paste/oyster sauce, then replaced in the shell for this exceptional presentation. Next came the Shinshu Mushi, a savory soup of green tea soba noodles, shimegi mushrooms, white sea bass, and konbu seaweed. The second to last dish was the Nigiri Sushi, which included a tasty selection of (left to right) halibut, sweet shrimp, golden snapper, horse mackarel, pike mackarel, and (my fave) o toro. 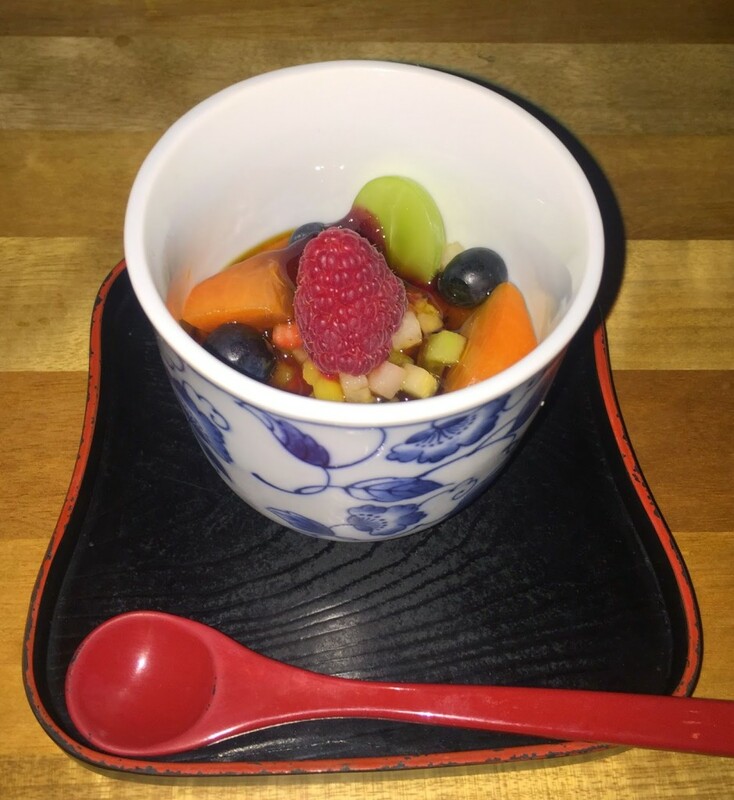 Desert is a Japanese sweetened custard with fruit called Chawanmushi, and is a perfect finale for any of the tasting dishes. Duozo Meshiagare! All photo by Marci Symington for texaztaste.blogspot.com. PS I was not compensated for any of my opinions….I just like what I like.